It's a Christmas party like no other as 'Kings Heath's most famous housewife', Mrs Barbara Nice, hosts her annual festive shindig at Birmingham MAC on December 17 and 18. As well as her famous raffle and tombola there will be mince pies, rib-tickling comedy and special guests, including Josh Pugh, Lorraine Bowen (on December 17) and ukulele group Moselele (on December 18). As at any Barbara Nice event, expect the unexpected – she's been known to do a spot of stage-diving, crowd-surfing and sliding down stairs on a tea tray. 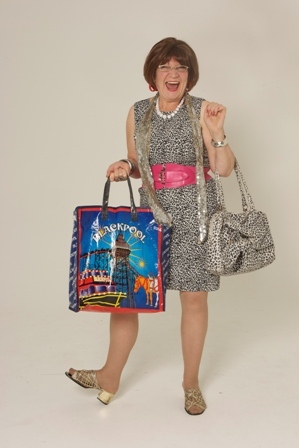 Barbara Nice is the creation of Stockport-born comedienne Janice Connolly who now lives in the Birmingham suburb of Kings Heath. 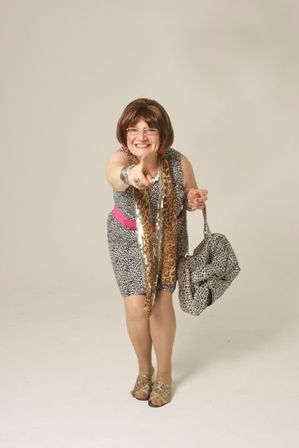 Well known around the Second City, the wider world may recognise her for her television roles in Coronation Street and Phoenix Nights and on stage in Anita & Me. 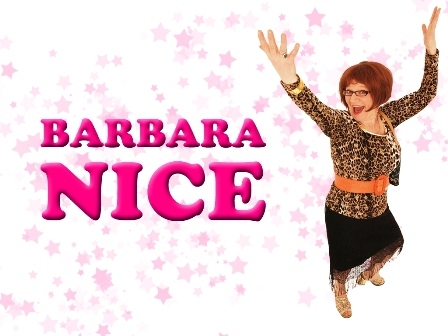 She reveals that Barbara Nice made her first appearance at Birmingham's Gag Club, near the Hippodrome Theatre. Janice had moved to Birmingham to study for a teaching degree and was enticed by the city's vibrant arts scene. She was in a couple of punk bands, The Evereadies and The Surprises. For the past 32 years Janice has been artistic director of Women & Theatre, a company she co-founded that is committed to social change through new theatre and drama. They perform in a variety of settings including schools, health centres and conference halls. Janice had two short stints in Coronation Street playing Dolly Gartside and Sheila Wheeler. ''It was fantastic,'' she says. ''Would I have liked to have spent longer in the show? It would be a big commitment to have a full time job in one place. I get quite a lot out of dipping my foot into different places because I think they all impact on each other. Why? Laughter guaranteed at annual Christmas cracker.